Last year I got engaged and with our wedding date looming (less than 6 weeks to go now! ), we’re right in the thick of wedding planning. One thing that is keeping me going is the prospect of going on a honeymoon. I just want to get the marrying part over and done with as soon as possible and hit the road. Anyone else feel that way about their wedding?! While we won’t be going on a huge honeymoon after our wedding, we did decide on going on a minimoon immediately following our wedding. To escape the madness we’re going to be heading for Napa Valley for a quick getaway and hopefully a lot of wine. I got married quite young and my husband and I didn’t have enough money to go on a proper honeymoon – so, instead, we had our ‘honeymoon’ just last year, for our 10th wedding anniversary! We spent three months in Southern Africa and we visited many amazing places, but the one that stole my heart is definitely Botswana. There’s so much to do in the country that one week is barely enough to scratch the surface – we managed to visit the Okavango Delta, spectacular Chobe National Park and the Kalahari, where we spent two days learning about the San people and their traditions. 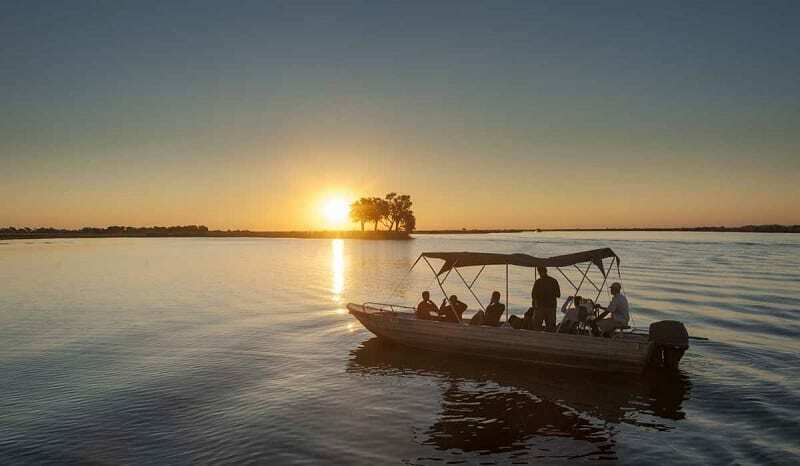 There are many luxury lodges in Botswana and the country is the ideal ecotourism destination, since the government has been promoting sustainable tourism ever since the 1960s – if you’re planning an African getaway for your honeymoon, Botswana is the country for you! Choosing a honeymoon destination makes for interesting conversation… It will reveal what you and your partner enjoy doing together. Furthermore, romance doesn’t have to be synonymous with luxury and lazy days. You can have a very romantic honeymoon in a country that is rich in culture and adventure. 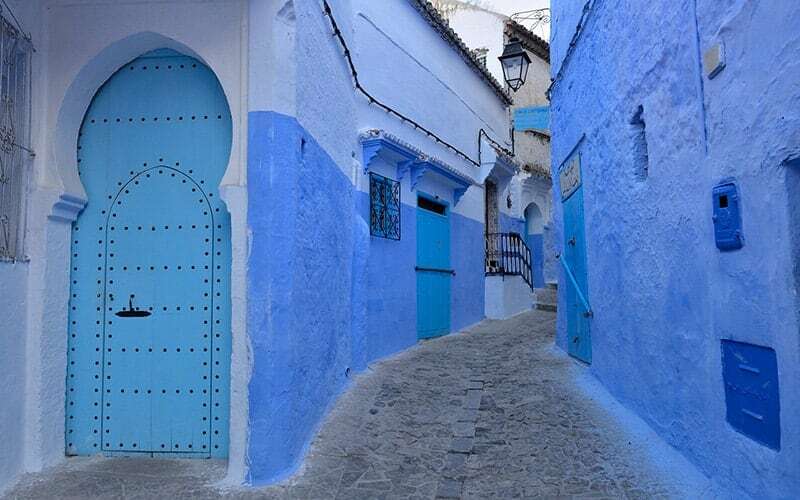 Chefchaouen is a small town in the north of Morocco and is known as the Blue Pearl. Just this name is romantic! It refers to the blue paint that covers the walls and streets. A stroll around Chefchaouen is charming and intoxicating. 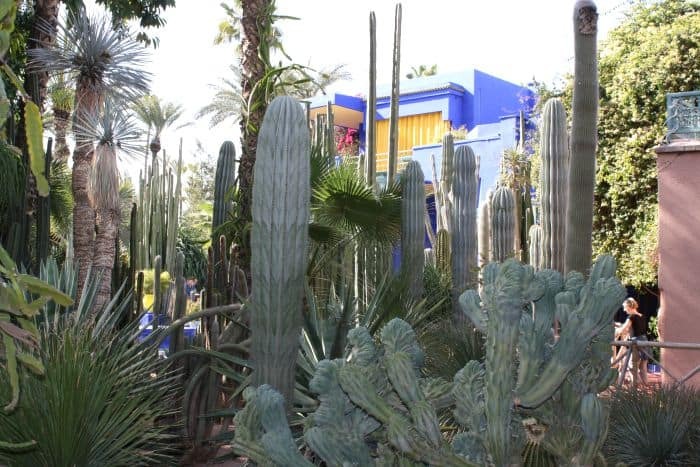 I recommend staying in a riad nestled within the blue walls in taking in the charm of this unique destination. You are guaranteed to create beautiful memories with your loved one and the colour blue will always remind you of these romantic moments. Marrakech, Morocco is a really popular honeymoon destination for people from all walks of life. It has gained even more prominence lately thanks to lots of A-list celebrities that enjoy the year-round sunshine and luxury resorts. Marrakech is a great destination for so many reasons; lots of things to do, good restaurants, lively nightlife and fantastic places to stay at all price points. Want to lounge poolside and sip fruity drinks? Prefer to mountain bike all day long and push your limits? Want to wander the streets of an ancient city and soak in a hot hammam? It’s all here! I met my husband at university and we were 23 when we married. Our original honeymoon was a clichéd beach holiday in the Caribbean at a couples’ all-inclusive resort – there are at least three aspects to that which don’t gel at all with the kind of travel we have come to love. So for our tenth wedding anniversary, we took a second honeymoon that was far more ‘us’, spending 9 weeks exploring South Africa, Botswana and Namibia. 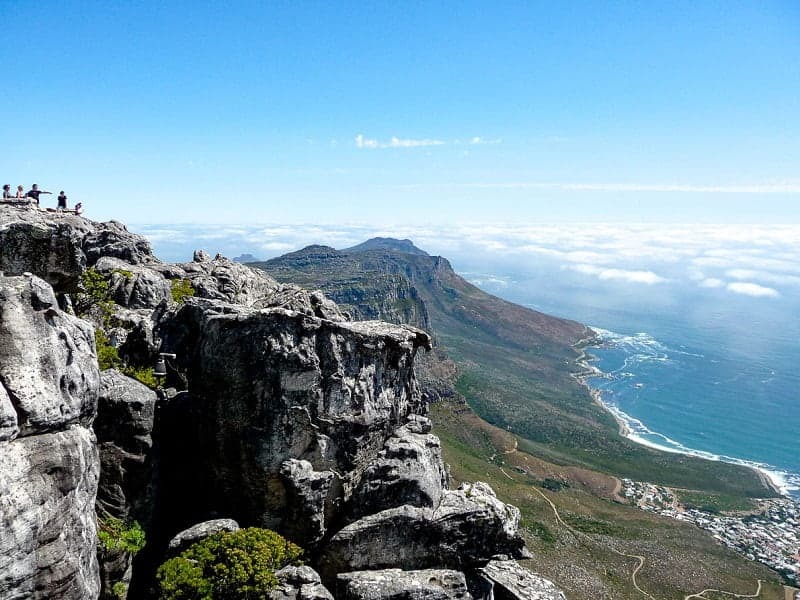 We started with Cape Town and the Garden Route, a captivating city surrounded by glorious wine country. After that, we went on safari, which is always a romantic experience – sharing the joy of the world’s wild places, observing the wildlife that lives in them, and going to sleep and waking up listening to the sounds of the wilderness through the canvas walls of our tent. From self-drive safari in South Africa to high-end, guided activities in some of the most remote camps in Botswana, we shared our honeymoon with elephants, cheetah and wild dogs. We finished our trip with a self-written ceremony to renew our vows in Namibia’s stunning Namib Rand Desert, one of the most beautiful natural landscapes in the world. My husband and I married in February so we chose a southern hemisphere destination for our honeymoon to get away from the British winter. We wanted a mix of city break, nature and the chance to relax afterwards. No jet lag and an overnight flight meant that South Africa was a perfect choice. We began with a week in Cape Town where the weather was perfect for exploring the city itself as well as the winelands around Franschhoek and Stellenbosch. The Kirstenbosch gardens were also a real highlight. From Cape Town we flew up to Kruger National Park and spent a few days on the trail of the Big Five, as well as touring some of the gorgeous scenery around the Three Rondavels and Bourke’s Luck Potholes. For our final week we flew to Zanzibar. We were supposed to be relaxing on the pristine beaches but we couldn’t sit still and had to get out to see Stone Town which is utterly fascinating. Zanzibar is also perfect for diving and boat trips, where you might be lucky enough to spot wild dolphins. I visited Bali for the first time on my honeymoon, and I highly recommend it to other couples planning their wedding. No matter what your budget, you’re sure to find an ideal secluded resort to spend some time chilling out after your big day. On my honeymoon, I firstly stayed at a quiet, mid-range resort in the forest surrounding Ubud, before heading for a few final nights at Ayana Resort, near Jimbaran Bay. It was the only time in my life I felt justified in shelling out for a swanky private villa, complete with plunge pool and butler service. The Ayana Resort is top notch and offers plenty to do, no matter if you’re staying in the main hotel or the various types of villas. Although, I never figured out what to do with our butler other then get golf buggy rides to the bars and private beach! Cempedak Islands is an adults-only private island resort about 2h from Singapore by ferry, car and boat. The resort is owned by the same group who managed Nikoi, a very well known family friendly resort nearby which is famous with Singaporean and residents alike. Cempedak is made of bamboo and follows eco-friendly principles. There are no fridges in the rooms (only a cold drawer where ice can be placed), there i no AC but natural air is meant to flow thanks to the villas design, and the materials used are as local as possible. Once on the island, you can enjoy the common pools or the in-villa private ones, go diving or snorkelling, play tennis, join naturalist walks, or simply relax, the main reason most of the visitors come for. Meals are freshly prepared every day and served in the lovely restaurant with a side of sea views. Cempedak is a lovely honeymoon resort, especially when combined with a few days in the busy city of Singapore where you can enjoy rooftop drinks, marvel at the many architectural feats (like Marina Bay Sands), take a river cruise, explore the country’s only UNESCO site, Botanic Gardens, and indulge in amazing Asian food from all countries. If I had to choose somewhere for my honeymoon then it would be Fiji. I visited this wonderful country a few years ago and was blown away by the Yasawa Islands there, as the scenery is breathtaking and the locals are so friendly! Fiji also has the perfect blend of relaxation and activities, so you can make your honeymoon what you want it to be. Some of the beaches there even have what they call a “honeymoon hut” and these beaches are only reachable by a boat going round to the other side of the island. 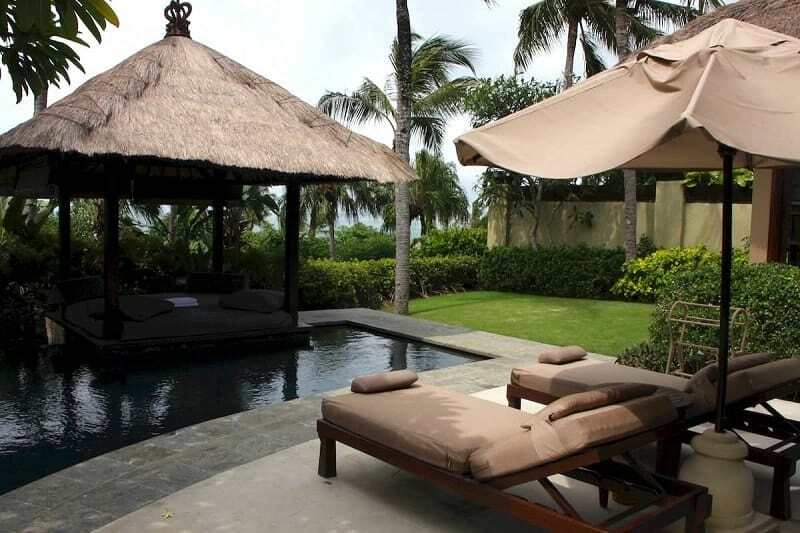 This means you are guaranteed your own privacy in paradise, on a pristine, white sandy beach! However, if relaxing 24/7 isn’t your style, then you can also do a variety of activities, such as snorkeling, sea kayaking, wakeboarding and some amazing scuba diving. Some dives even have you go and swim alongside sharks! Fiji really does have it all to offer, and you should definitely put it on your potential honeymoon destination list! Koh Samui in Thailand is the perfect destination for a relaxing beach honeymoon. Phuket’s more laid-back cousin boasts stunning white sandy beaches, a good selection of excellent restaurants and a large choice of luxury resorts perfect for a honeymoon. Beach lovers are spoilt for choice when it comes to finding a gorgeous beach to hang out on for the day. 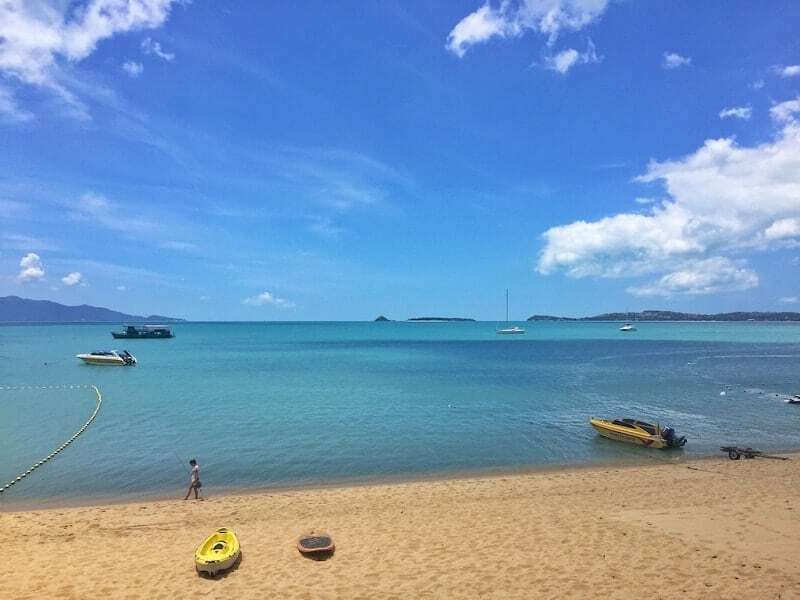 But there is more to Koh Samui than beaches, so if you are the more adventurous types you can go kayaking and snorkeling in Ang Thong Marine Park, discover waterfalls and visit the famous Big Buddha. If you are a couple who likes to party, check out the areas of Chaweng Beach or Lamai Beach. Those in search of a bit of calm will prefer Bophut Beach, or the romantic seclusion of Laem Set Beach. We recently got engaged and are now looking at our honeymoon options. One place we went to and loved was in Indonesia. We went diving in the Komodo National Park and absolutely loved it. It ranks as one of the best scuba diving experiences we’ve ever had and would love to do more on a live aboard yacht so we explore more. 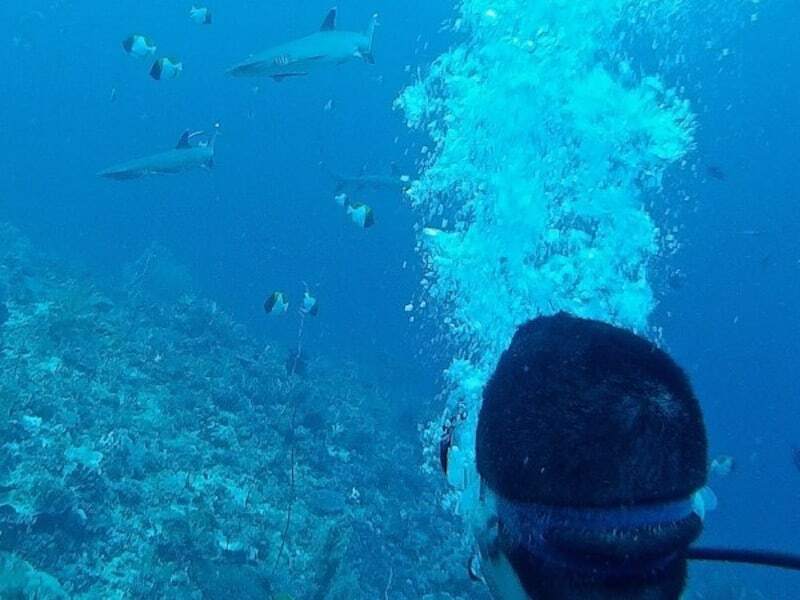 The scuba diving here is world class because the waters surrounding the Komodo National Park form part of the Coral Triangle, which contains one of the richest marine biodiversity on earth: a paradise for divers. 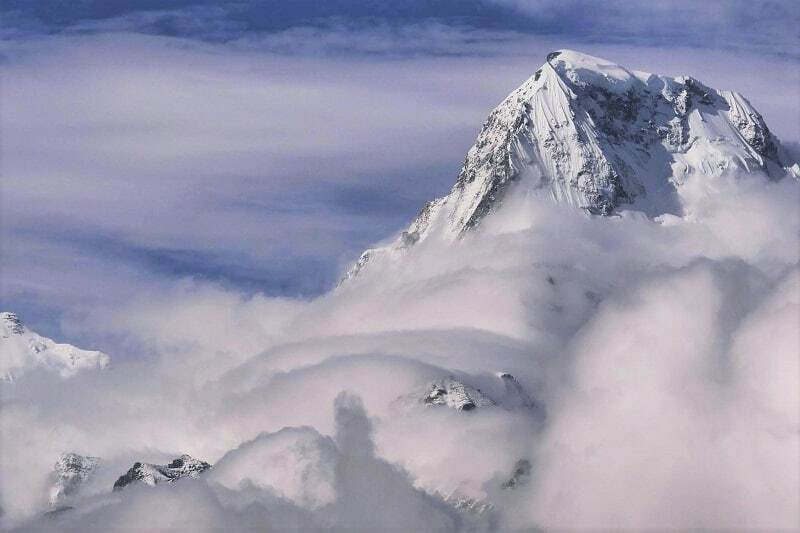 It was even selected as one of the New Seven Wonders of Nature in 2011. The Coral Triangle is the global centre of marine biodiversity, holding 75% of the world’s coral species, 6 of the world’s 7 marine turtle species and 3000 marine fish species. Diving is one of the things we love doing the most together as a couple so we can’t wait to experience a romantic live aboard in Indonesia for our honeymoon. If there is one place that blew my mind then it is Lux South Ari Atoll in Maldives. Every morning I woke up just before sunrise the watch this phenomenon from the balcony of my overwater bungalow. I am not a morning person but in this fabulous resort I just did not want to miss a single minute of the daytime. I would then jump on my bike and take the 10-15 minute bike ride to the other side of the island where a skilled barista would prepare me the best coffee with the most amazing view. Waking up in paradise was fantastic, spending the day going on cool island hopping trips was just as amazing and a sunset cruise around the island would make it a perfect day over and over. Dining in candle light on the beach watching shooting stars was just another great romantic moment that you can add to the long list that makes this island so special. If I was to tie the knot, one of the first places in the world I’d love to escape to after the wedding craziness would be Nepal. It ticks all boxes. If you are looking for an exotic destination, with stunning landscapes, delicious cuisine and far away enough to make the trip at least 10 days long, where all kinds of adventures will make newlyweds bond and with that unique touch of affordable luxury that makes a honeymoon special; do not look further and start browsing Nepal blogs online, like this beginners guide to trekking in Nepal. Because once you are there, the Annapurnas and Himalayas will call your name. Guaranteed. The simple fact that when you say Raja Ampat most people will raise their eyebrows, makes it the perfect honeymoon destination. Because it’s remote and it’s secluded. Because when we were there, there were days when we had the entire beach to ourselves. I normally tend to avoid superlatives, but Raja Ampat truly deserves them. The islands are extremely wild, you get enchanted by tons of birds’ singing. The beaches are just like the ones you see on postcards, with soft and white sand. And the water… Oh, don’t get me started! If you are a fan of marine life, then they will need cranes to pull you out of the water. The corals are healthy and colorful and they hide an incredible biodiversity. From Nemo to reef sharks, from sea stars to manta rays. You will get your share of live National Geographic show. 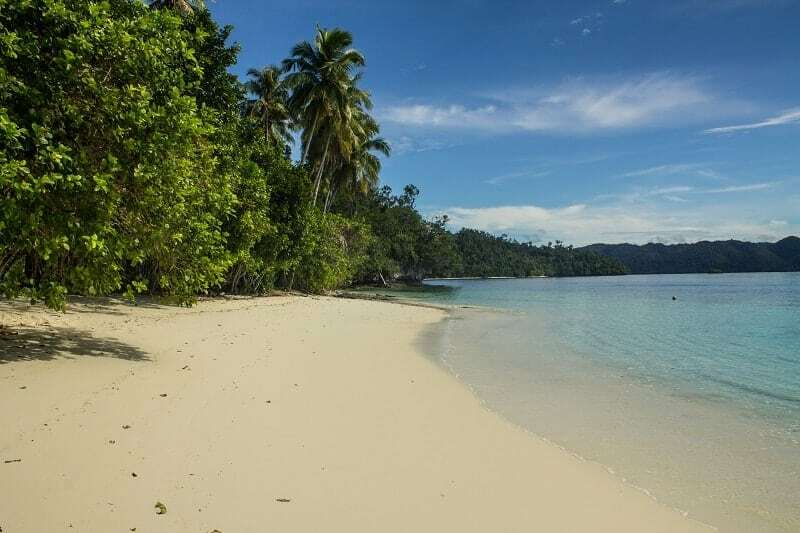 So yes, all the elements combined make Raja Ampat a dreamlike honeymoon destination. You will leave it dreaming of your next holiday there! Sri Lanka is an ideal honeymoon destination, and it is not uncommon to encounter newlyweds when traveling there. It is easy to see why, after all. 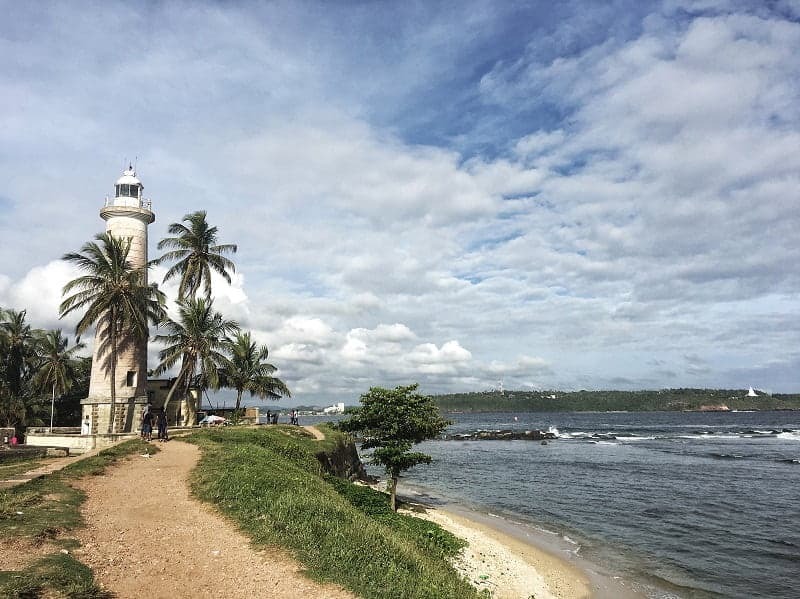 Sri Lanka has the perfect mix of nice, historical cities such as Galle; beautiful, sandy, tropical beaches such as those around Nilwella; unique mystical sites such as Anuradhapura and Sigiriya and lush tropical nature all over. To top this off, there’s some incredible national parks that offer incredible opportunities for animal sightings. One of the most special places in Sri Lanka is Gal Oya National Park. This is one of the largest ones in the country, and as such it is not as easy to spot elephants, which roam freely in the vast territory. Yet, the park is run in a fully responsible way. 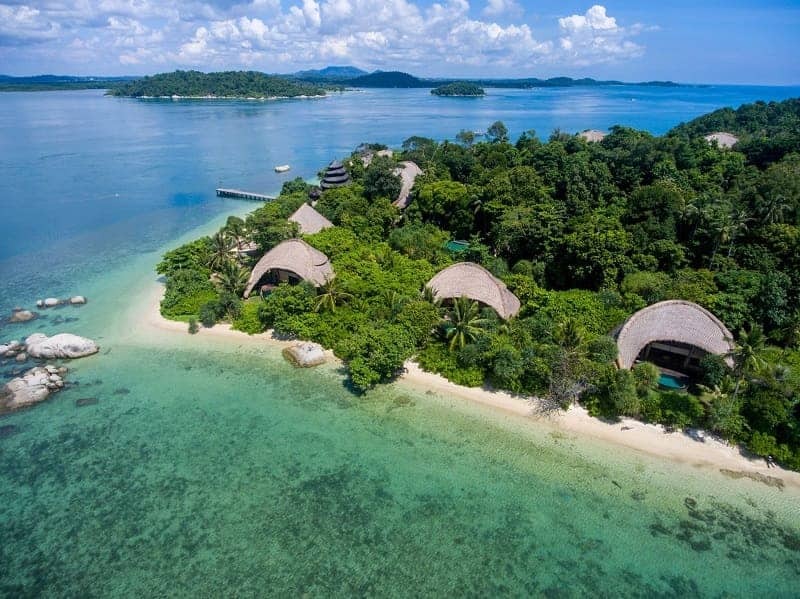 It can be accessed via the Gal Oya Lodge, a beautifully isolated and completely eco friendly resort that boasts incredibly beautiful rooms in an idyllic setting. Honeymooners visiting the Amalfi Coast should stay at the famed Le Sirenuse hotel in Positano, where they can sip on a fresh Aperol Spritz while dining at the Michelin-starred restaurant, La Sponda. 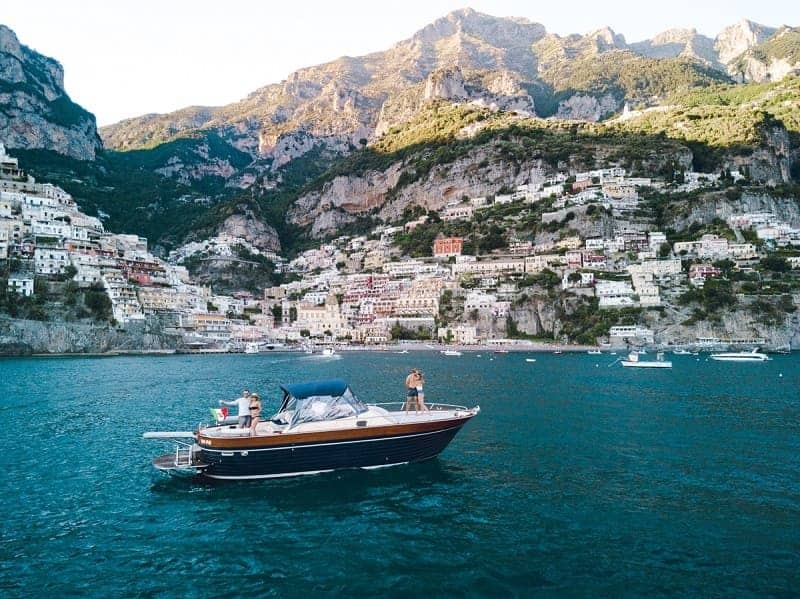 For activities, lovers can hire a private yacht and day trip to quixotic Capri where they can spend their day diving into the Blue Grotto and swimming in the magical Mediterranean Sea. While Positano may be the epicenter of romance, honeymooners also should rent a vintage Alfa Romeo and explore the nearby towns of Ravello, Amalfi, and Praiano. We picked Greece for our honeymoon for a number of reasons. 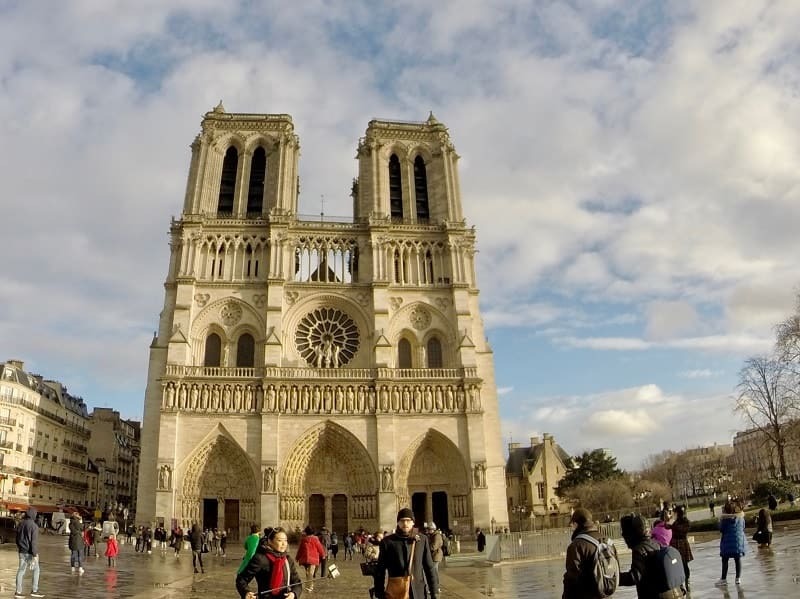 It had romance, adventure, architecture, food and so much more. Yes, we spent a couple of days on Santorini but the highlight of our honeymoon was actually Athens and day tripping from Athens. We did two day trips. One to Nafplio and one to the Meteora Monasteries. Nafplio is a little harbor town a couple of hours away from Athens. It’s got gorgeous beaches, palm trees, waterfront restaurants, beautiful little alleyways with the cutest little shop and some history to explore as well. It makes for a perfect day trip from Athens and is a very relaxing day. 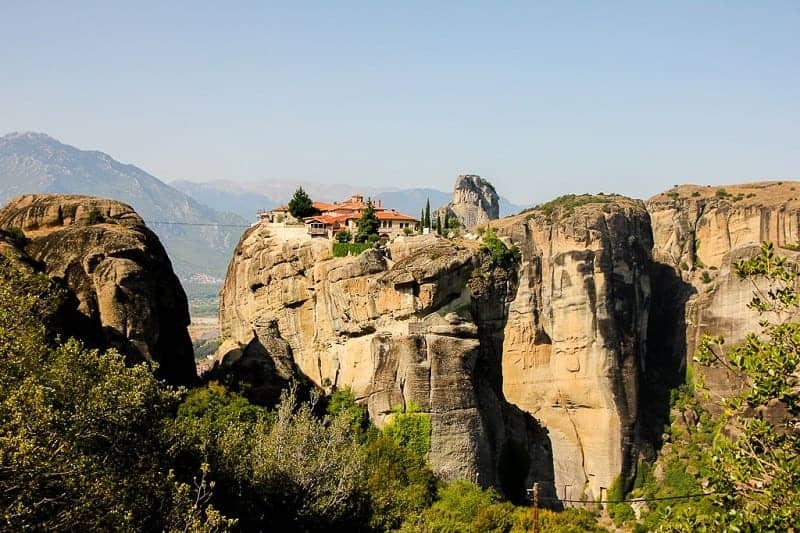 The Meteora Monasteries on the other hand are a little bit further away, approximately 4 hours from Athens. They’re a stunning UNESCO site with incredible amounts of history and challenging hiking. It’s definitely an alternative to the traditional honeymoon on the Greek Islands but it’s so incredibly worth it. At the top of our wish list is a honeymoon in Iceland. We’ve never been big on having holidays where we sit around, so a beach holiday in the Caribbean may not be for us. We took our first trip to Iceland in the Fall of 2017 and have been dying to go back ever since. It’s an absolutely stunning country filled with intimate hot springs, glaciers, wildlife, and a dizzying amount of waterfalls. With all of the beautiful landscapes, it’s perfect for those who like to hike, fish, bike, camp, climb, or go horseback riding. 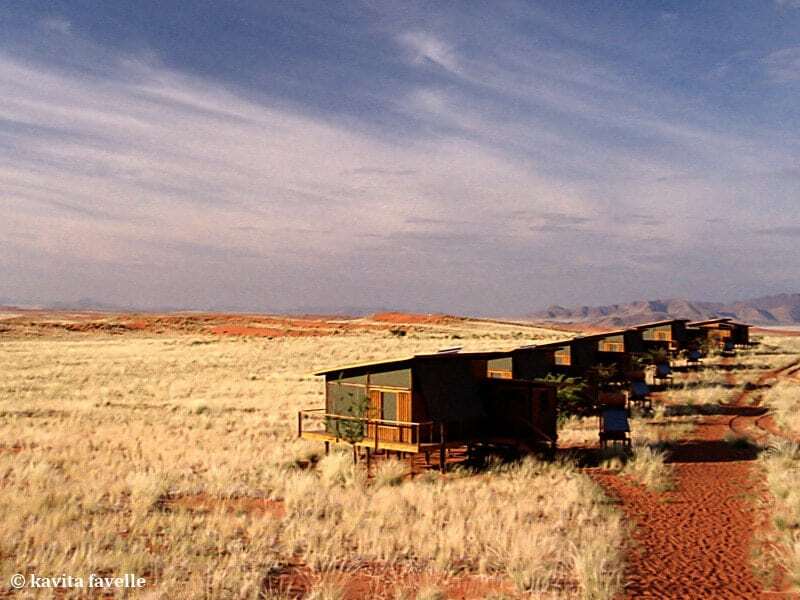 The country is any outdoor fanatics dream honeymoon destination. So you never run the risk of getting bored on your honeymoon. We also love the fact that despite being very popular with tourists you’re still able to find remote places to enjoy the serenity of nature together. A windswept island in the middle of the Atlantic known for freezing cold temperatures and active volcanoes may not be on top of everyone’s honeymoon list, but it’s on ours for good reason. 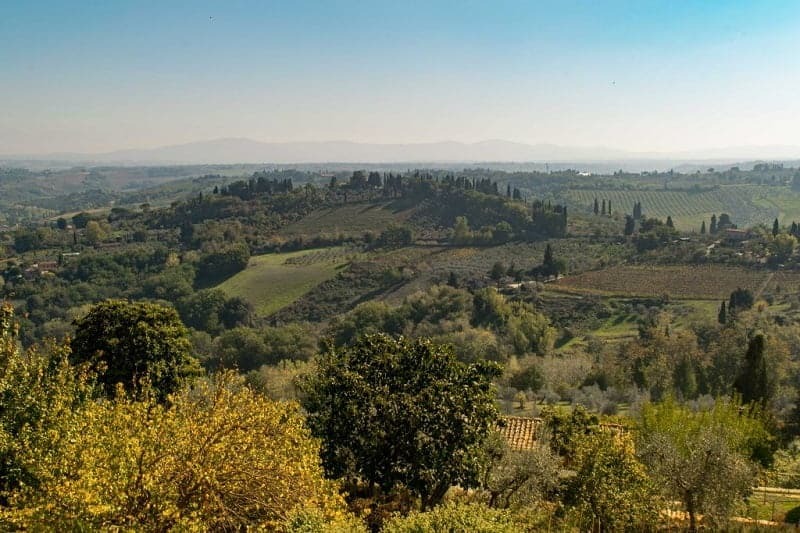 It’s hard to imagine a more classic honeymoon destination than Italy with its rolling Tuscan countryside, unmatched food and wine scene, beautiful beaches, and captivating cities. Italy is the perfect destination for romance. walk along the coastline at Cinque Terre. Or, perhaps we would stick to Rome, for its history, or Florence, for its food. Perhaps we would do nothing but rent a villa and enjoy delicious meal after delicious meal with a beautiful view. In Italy, the possibilities for romance are endless. Paris is the stuff of imagination. Images such as champagne glasses clinking with Place Vendome and the original Chanel Boutique in the background while sitting on the Cambon side of the Ritz, better known as Hemingway Bar. There are the glittering lights on the Eiffel Tower signifying the city’s nickname. Better yet, there are the vignettes of umbrellas opened near the quay as you stroll to the Notre Dame de Paris on a rainy day. It doesn’t stop there. Waiters dressed in white jackets and black ties at Brasserie Lipp, making one feel like an expat in the 1920’s, to handsome chefs in sleek APC tee shirts doling out some of the city’s most exciting food at small places near the canals. There are of course the crepes sold at stands in Montmartre, and macaroons sold at Laduree. Not to be overlooked are the parks such as the Luxembourg Gardens, where among children riding carousels and old men playing boules, you stroll while holding hands and imagine the many stages of love. Only in Paris. Santorini is the most romantic destination for a honeymoon. From the stunning caldera views, to the decadent Greek food, to the sunset cruise around the island – every detail was as it should be for such an occasion! If you want to go out exploring, there’s enough to keep you busy during the day, and nights can be spent walking the undulating stairways and ducking into candlelit tavernas for olives and ouzo. If you want to just relax and soak up the sun – well there’s plenty of that too! The island is teaming with amazing sea view villas and boutique hotels, many with incredible infinity pools that artfully blend into the horizon. 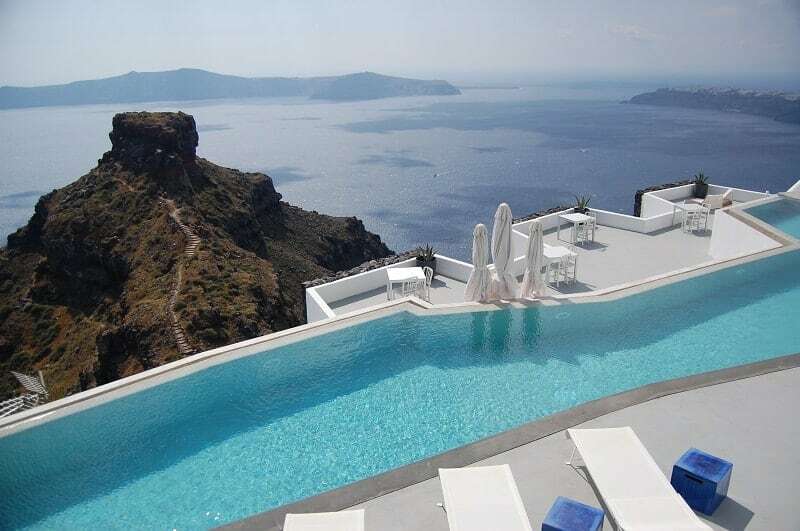 If you’re looking for a luxury honeymoon destination, Santorini just can’t be beaten! Nigel and I married at the top of a ski hill in British Columbia, Canada. Luckily the name of the mountain was Big White, so I did actually get a Big White Wedding. The wedding and our subsequent honeymoon were a surprise not just to our family (as we’d eloped) but also my husband to be, as I’d arranged it all without his knowledge. 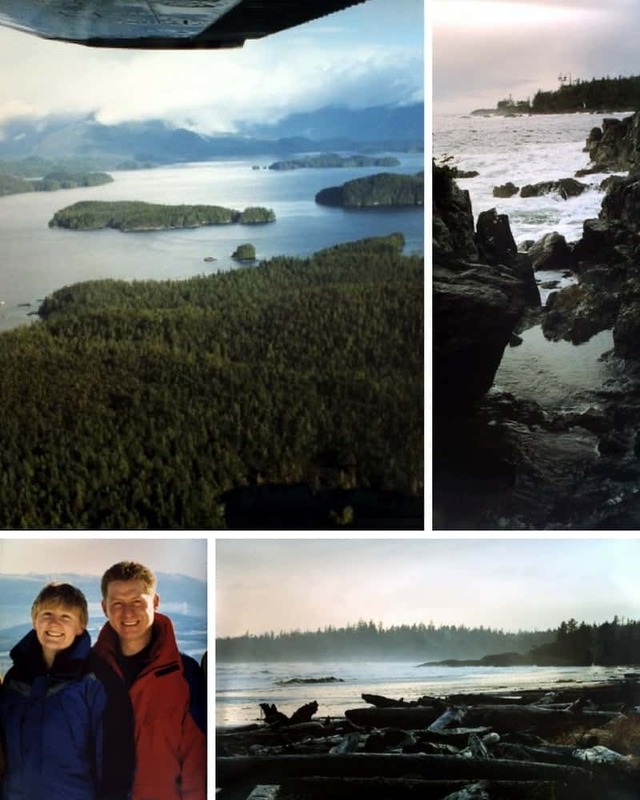 We started our honeymoon in a glorious wooden cabin with a private hot tub onthe mountain, then drove west towards the coast and grabbed ferry over to Vancouver Island. We drove across the island and headed to Tofino where we took a private float plane to Hot Springs Cove, which in December was gloriously deserted and ours alone. 18 years later I still can’t think of a better place to marry or spend our honeymoon – magical places, incredible experiences and skiing down with knocking knees after the ceremony remains my single worst ski run ever. I was married in simpler times. My new husband and I couldn’t decide between Yosemite and Big Sur, so we did a road trip in from our home in Berkeley and spent half of our time in Yosemite and half in Big Sur on the coast. 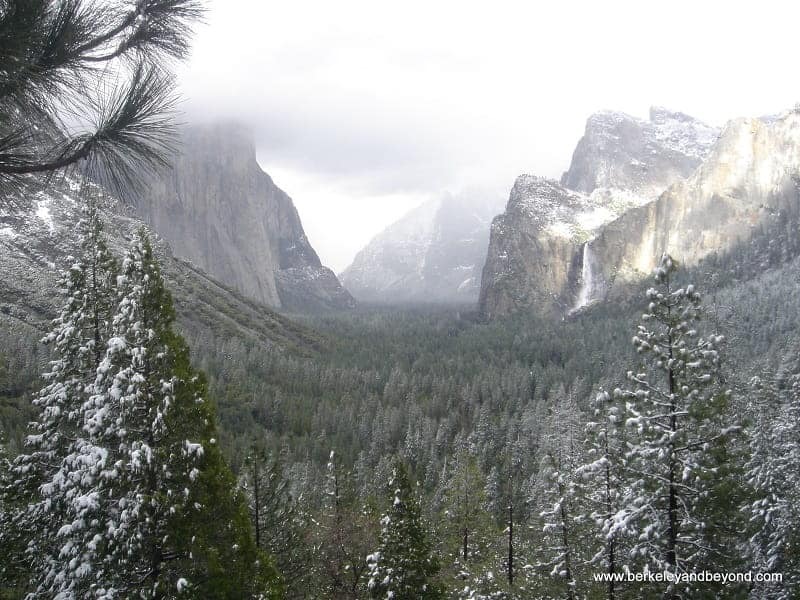 In Yosemite we hiked, rode horses, and enjoyed the spectacular scenery of this grand National Park. We stayed in a little cabin without indoor plumbing and so scampered through the woods to take showers and use the facilities. At Big Sur, we stayed in a sweet old-time inn that had wood-burning fireplaces in the rooms and a few spiders I discovered in the wood (I decided to co-exist with them). It was a very fine honeymoon indeed. We had the time of our lives island hopping in Hawaii. After getting married on the beautiful Kauai island, we continued exploring the Hula Hula Land for a further 3 weeks. To say it was an incredible experience would be an understatement. Every day was filled with Aloha vibe and beautiful views. 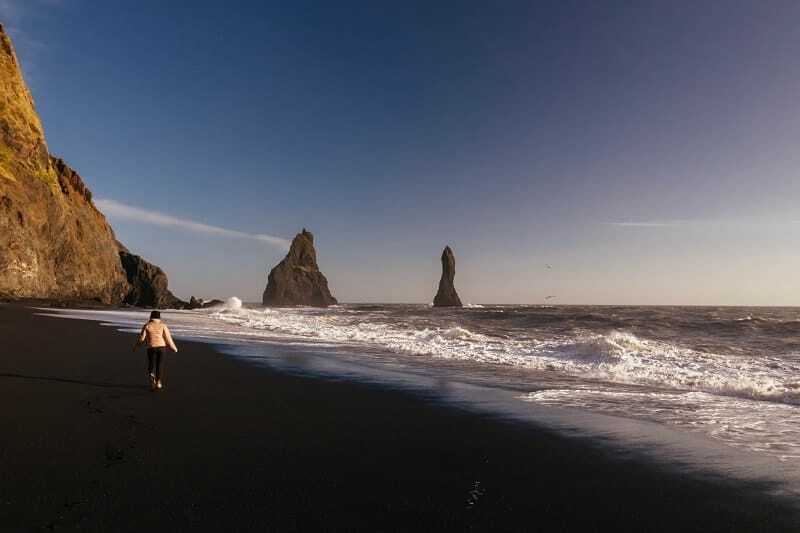 Imagine golden, red and even black sand beaches stretching for miles and crystal clear waves of the Pacific rolling to your feet. Hawaii is a paradise and a perfect honeymoon destination. It’s a land of gods, diverse ecosystems, changing landscapes, ancient volcanoes, and bubbling lava. You will never be bored. 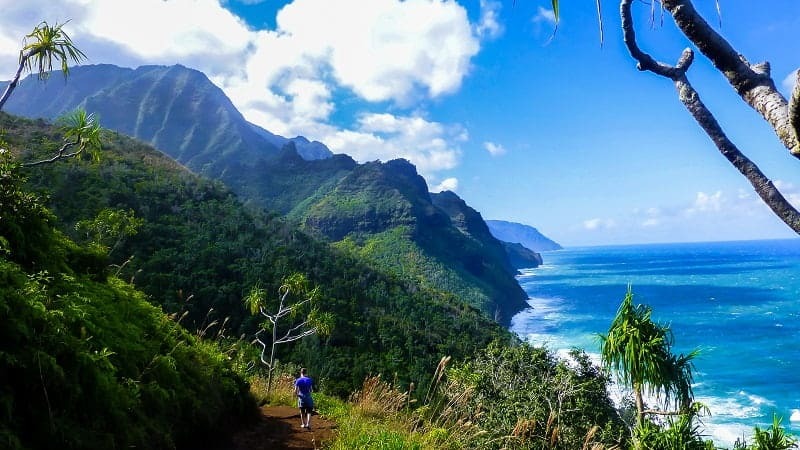 While Maui offers the jaw-dropping ride to Hana, Kauai has the most beautiful coastal ridge in Hawaii. The Big island is home to the most active volcano on earth and Lanai boasts one of the most beautiful beaches in the US. Enjoy! What can possibly be more romantic than getting lost together in one of the most exciting cities of the world? New York City is an awesome spot to celebrate life and love. 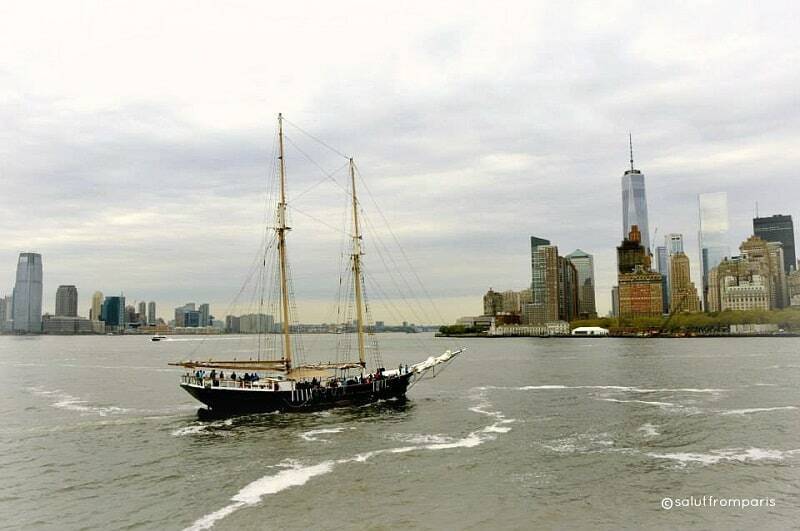 From having dinner in a hip restaurant and long walks along the Hudson Rivera, over a picnic in Central Park to getting stream rolled by the breath-taking view from the Rockefeller Centre. New York has it all. This city is a pure Joie de Vivre and nothing amplifies this feeling more than sharing it with the love of your life. Spending our honeymoon in Big Apple was a perfect match to celebrate our new life together, to demonstrate that it’s us together in this crazy world. We chose to go to Niagara Falls for our minimoon last year because it’s an iconic spot neither of us had been before. 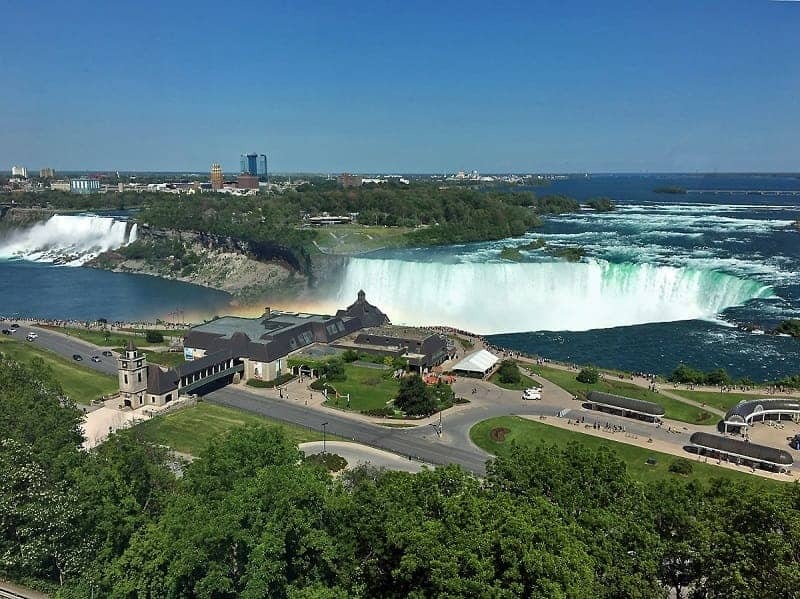 I think it’s a great choice because there is plenty to do or if you prefer you can just appreciate the beauty of the Falls from your hotel room. Splurge and get a Falls View Room! Since it’s your honeymoon, you will want to do something romantic. How about a helicopter ride over Niagara Falls or a wine tasting tour in nearby Niagara on the Lake? You can also just walk hand in hand in Queen Victoria Park for a great view of Niagara Falls. If you want to be adventurous and get close to the falls, go on a Niagara Falls boat tour and visit the Cave of the Winds. I guarantee it will be a trip you will always remember. 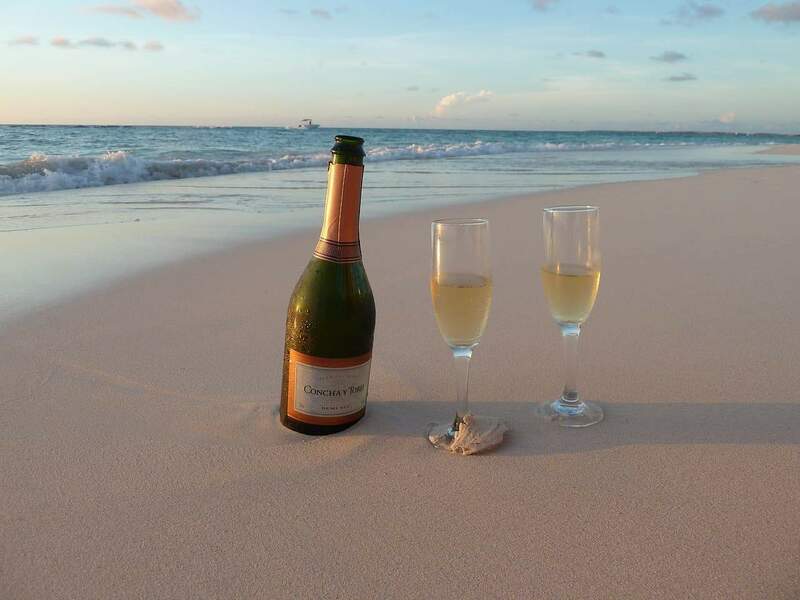 Aruba is a perfect destination for a honeymoon. 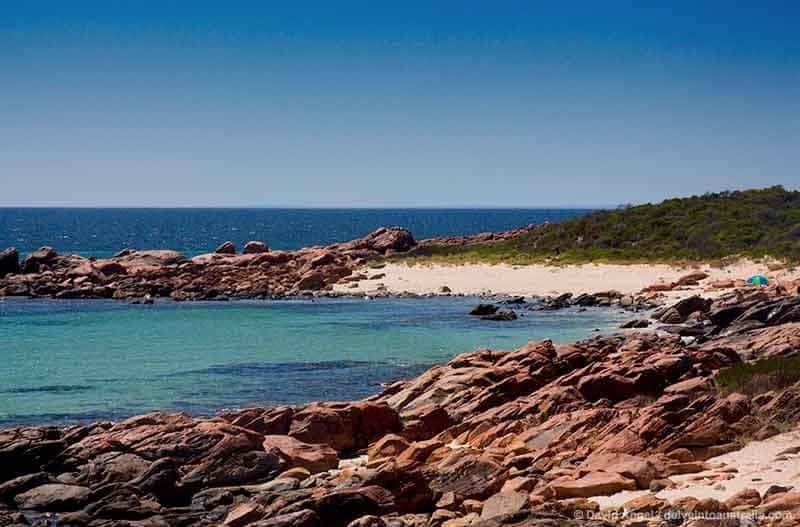 The beaches are amazing, especially Eagle Beach which has been ranked number 3 in the world by Trip Advisor. The island can be visited year-round and while it is still a Caribbean island it is south enough to be out of the hurricane belt. If you are having a fall honeymoon in Aruba, you won’t have to worry about a hurricane ruining your plans. Aruba is known for its safety and friendly people and is referred to by the locals as “one happy island”. While you are there, enjoy plenty of time relaxing on the beach. Go snorkeling to explore the ocean and on a jeep tour to see the rest of the island. Make sure you schedule some time for a couple’s massage before you head home! I visited Dubai a few months ago, and I stayed there for a month, exactly the length of a honeymoon. Although that wasn’t my case, I was there with my boyfriend, so we felt as if we were actually on our honeymoon. Dubai is such a beautiful, spectacular, and complex destination that would easily make anyone fall in love with it. 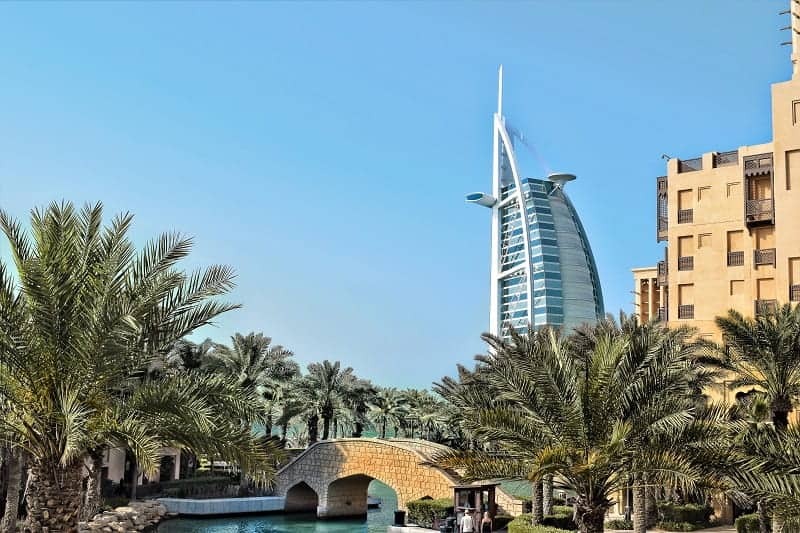 What did I enjoy most about the luxurious city of the Emirates? The diversity, whether we are talking about people, cultures, religions, whether we are referring to clothing or food. The international expats settled here have had a serious influence. Moreover, I really liked the opulence of the buildings. I’m glad I had the opportunity to also admire them from above, from the tallest building in the world, Burj Khalifa. However, my favorite thing to see in Dubai is the dancing fountains who have offered me an amazing show that I will never forget. There are many amusement parks in Dubai, the largest flower park in the world, and many beaches that you can relax on for a whole day. It is a city where boredom can never occur, especially during your honeymoon. For the second half of our honeymoon we decided to head to Manta, Ecuador for rest and relaxation. We went in November, but as long as you avoid the rainy season, weather is going to be pretty good to work with. Their hottest time of the year is December/January, so if you plan a little after that you shouldn’t have a problem with insufferable heat or torrential downpouring. Ecuador is a prime location for those looking to get away from the hustle and bustle of their busy life. Prices are affordable, locals are friendly to English speakers, and the seafood is fantastic. We spent several days lounging on the beach, reading, drinking wine, and relaxing in the sun. If you’ve had your fill of beach life, Ecuador also offers both mountains and the Amazon jungle to explore. So whether you’re newly weds or renewing your vows, Ecuador is a perfect country to escape to. After visiting Perth for a friend’s wedding for a few days, we had a short break exploring the Margaret River region three hours away in the far south-west of Australia. We spent our honeymoon in Prague some years ago, and now we know where we’re going for our second honeymoon. Margaret River is one of the prime wine-growing regions in Australia, and it differs from the others in that it’s so close to the coast. Many of the vineyards are just 15 minutes away from the Indian Ocean. There are around 200 vineyards in all, and luxury everywhere you look. You can sample fine wine, or explore the fantastic local food, while being pampered to your heart’s content. And then there are the beaches. Many on the west coast down to Augusta are surf beaches, and around the town of Dunsborough, in the north of the region, the sheltered beaches along the Geographe Bay coast are among the best we’ve ever seen, pure white sand, orange rocks, crystal-clear turquoise water and wall-to-wall blue skies every day. Where did you go for your honeymoon or what is your dream honeymoon destination? Wow that is a big list. Indonesia featured 3 times or was it more! Indeed it is a beautiful country. I like Athens, Meteora a lot! Would love to revisit. My wife and I are coming up on our fifth wedding anniversary and this has given us a lot to talk about what we can do for honeymoon 2: the sequel. My wife really wants to go to Komodo Island to see the dragons, but I am terrified of being eaten alive. Hopefully we can come to a happy medium, like Bali. More resorts, less man-eating lizards. Thanks for the ideas! Congratulations on your impending nuptials Adelina!! It’s such an exciting time. A minimoon sounds lovely, and the Napa Valley is such a perfect choice. Love this round-up of fave honeymoon destinations – so many great choices! Botswana would have been amazing, and Namibia too. Can you tell I have Africa on the brain?! congratulations to the both of you and best wishes! This is such a great list for honeymooners. My partner and I have been discussing ( actually just me! haha) of a place where to spend a honeymoon. The Maldives will always be my top list, next is Fiji and other parts of Europe like Italy and Greece! I’m just quite curious about this Cempedak Islands where it says adults only. I think I saw something similar to this in the Philippines and I just wonder, only for couples and no children? Sounds cool, tho! Anyway, the idea of this beach resort as to having no ac sounds very relaxing and refreshing! Fresh air is unbeatable! So many great and exotic locations here! My husband and I chose Europe. We stayed in Baden-Baden, Germany – one of my favourite towns, then went to a high altitude spa town in Switzerland for hiking and soaking, two days in Milan then Venice. It was one of the best trips I’ve ever planned. Now we’re gearing up for a 5th anniversary trip and these will be great ideas. I love that there are so many unique destinations on this list. 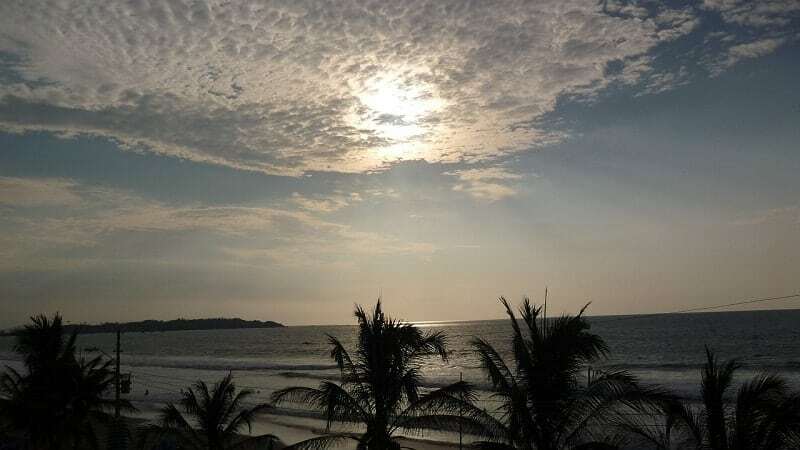 Some I’ve visited and whole-heartedly agree with (like Bali – Bali is always a brilliant option). Chefchaouen, Morocco is topping my list out of all of these! looks like an incredible city! I’m finding this type of information and finally, I got this. Me and my husband finding a place for our honeymoon we just get married two months ago. After reading your post I collect some information about some wonderful places. I love those places, I want to go there and enjoy our honeymoon. Thanks for sharing this honeymoon destination.